HomeAid's unique non-profit business model mobilizes members of the building industry to donate labor, materials, and serve as "Builder Captains" on all our BUILDS projects for homeless families and individuals. With the expertise of our professional building partners and trades, HomeAid has been able to build shelters, transitional housing apartments for veterans, safe houses for surviors of domestic violence and cottage dorms for abused and neglected children. 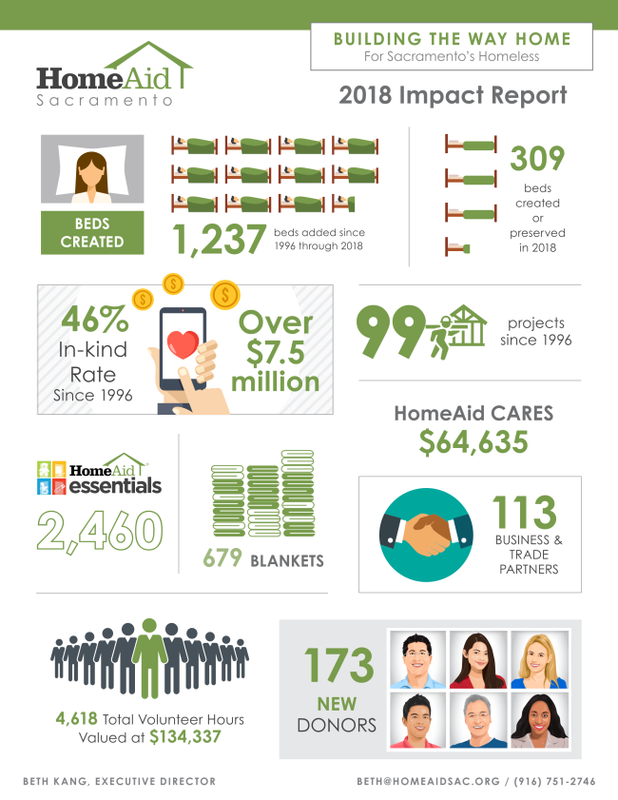 Our impact in the Sacramento community is wide and longstanding. Over the last 23 years, we have added space for over 1,200 additional beds for our homeless shelter partners that will give a person in crisis a safe and dignified place to be, and most importantly, a second chance at life. The New Home Company served as Builder Captain on Maryhouse, a Program of Loaves and Fishes, Renovation Project. Thank you The New Home Company for your dedication and leadership for the amazing transformation of the Maryhouse bathroom/showers and Women's Day Lounge. For a list of our current BUILDS Projects, click here.